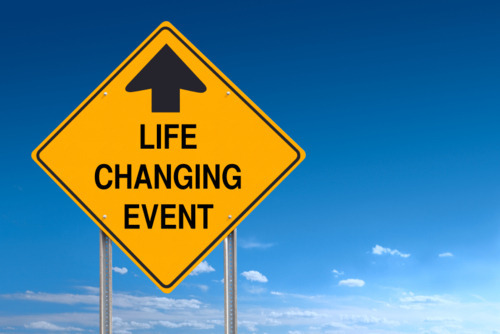 Life is going to happen, so let it happen with an emergency fund | JW's Financial Coaching-Giving you a new perspective on your money! As an adult it takes all of about two days for you to realize that life doesn’t always work out the way you planned. Sometimes it is in minor ways but sometimes it can blindside you and set you back not only personally but financially as well. Things such as a job loss, major car repair, emergency room visit, or things breaking in your home are never things we plan to do in life. Chances are, however, that you will experience all of those things at least once in your life. It stinks that we can’t predict when these events will happen, but we can be prepared financially for when they do occur. That’s why a healthy emergency fund is one of the major components of a healthy financial plan. I’ve discussed the benefits of an emergency fund before but one thing an emergency fund allows is for you not to have to worry about the financial side of things in a time of crisis. Before I was married, I’d always hate when emergencies happened to me. Not that I don’t hate it today, but back then I thought emergencies were avoidable if you did the right planning. But over time I’ve come to realize that they are going to happen regardless of how much I plan. So instead I’ve come to realize that life is going to happen, but when it does happen it’s a lot easier to get through it with an emergency fund. How has having an emergency fund helped you in your financial journey? Friday Financial Tidbit-What’s an emergency? This entry was posted in Financial Plan, Friday Financial Tidbit, Personal Story, Uncategorized and tagged Emergency Fund, Importance of an emergency fund. Bookmark the permalink. Pingback: Three things to do before considering purchasing a home | JW's Financial Coaching-Giving you a new perspective on your money!